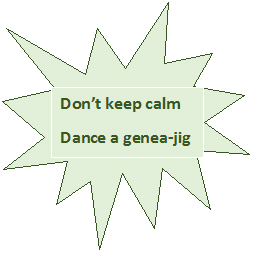 It’s been an exciting genea-jigging time for me lately. First up my blog appeared in the Inside History Top 50 blogs for 2014. Thanks Inside History, and Geniaus, who does the complex comparison between all the blogs…heaven knows how many she has on her list. 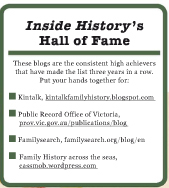 Then the voting on John Reid’s Rockstar Genealogist 2014 was completed and I found that my readers had voted me into 5th place for the Australia/New Zealand regional “honours”. 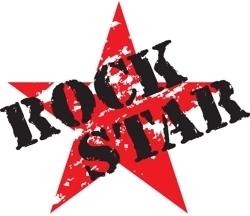 Gold Star Rockstar was Shauna Hicks, well known to Aussie genies, and coordinator par excellence of Australian Family History Month. 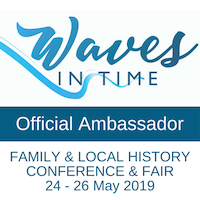 Silver Star performer was Judy Webster who is devotedly followed by all Queensland genealogists for her wealth of knowledge of Queensland archival sources and her indexes of some records, as well as being the initiator of the Kiva Genealogists for Families Team. No surprise either that Bronze Medallist was Jill Ball aka Geniaus, convenor of hangouts, Aussie techno-expert, blogger and blog-coordinator extraordinaire. I’ve been fortunate enough to hear many of these people in real life or hangouts, and very pleased to see some of my good geni-mates on the list. Last year my #5 place was overtaken by the bombing and hijacking events at Westgate Mall when we were staying nearby at our daughter’s place in Nairobi. 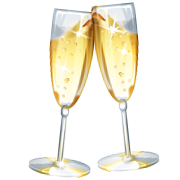 So this year I thought I should celebrate a little…especially after my daughters gave me heaps for having to find out on Facebook <smile>. 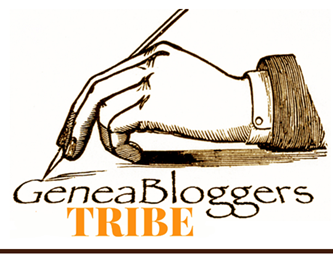 The downside of these sorts of lists is that there are so many great genealogists out there who are quiet achievers but definitely rockstars, and I’m proud to call many of them my friends as well as blogging colleagues. They volunteer, index, blog, coordinate facebook groups, initiate blogging themes etc. Without them we’d all be poorer so here’s a toast to all our genimates. Thanks John Reid of Canada’s Anglo-Celtic Connections blog for hosting this rocking event.